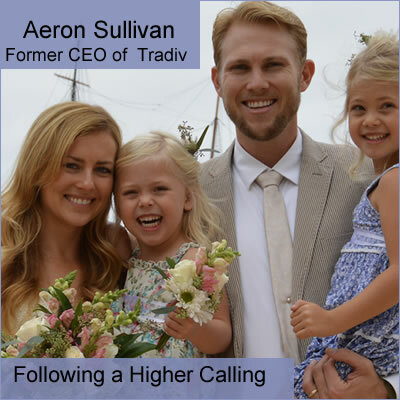 In 2016 Inc Magazine named Aeron Sullivan as one its 30 people Under 30 years old to watch as a promising founder. Indeed Aeron, co-founder of Tradiv was on the move. His online cannabis trading platform was helping 230 growers and dispensaries conduct business. Then everything changed when Aeron had a profound spiritual experience that caused him to rethink his life, reality, and his future. Listen to Aeron’s gripping and inspiring transition.